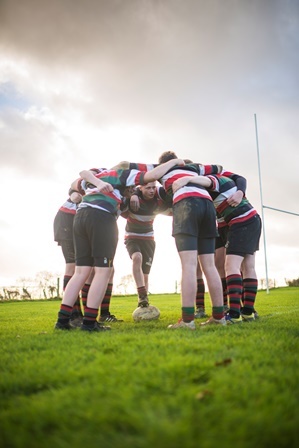 The Year 9’s started the second half of term with a very dominant performance over Kingham Hill. The forwards set the tone of the afternoon with some excellent carries, with Thomas Cramb crashing over the line for the first score! The game continued in the same fashion with the forwards carrying the ball direct and the backs exploiting the space out wide. Akeley went on to score three more tries in the first half, demonstrating some outstanding defensive structure. The second half was slightly scrappier and Kingham were resilient in defence! Nonetheless after a long period of possession, Akeley pulled together and went on to score four more tries using some silky hands. Well done to the U14 A team for your hard work so far this term. It has paid off! Well done to Lestyn Porter who did not miss a conversion all day.